The John Myers photographic archive (1972 -1981) is deposited at the Library of Birmingham. The Library holds a collection of 3.5 million images and is recognised as being of national and international importance. The archive contains 134 portraits mainly from the years 1973 -1975 and in the region of 160 photographs of televisions, sub stations, houses, shops and other aspects of the urban environment from 1974 – 1981. The Library also holds a small archive relating to the first exhibition of Harold Edgerton’s photographs in the UK that was held in the mid 1970’s and which John Myers was instrumental in organising. The Middle England exhibition of seventy five original silver bromide prints is available (either in whole or part) for tour. The works are fully framed to conservation standards. 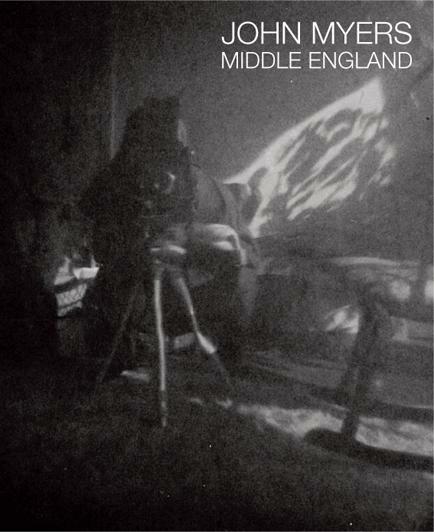 This catalogue accompanies the Middle England, Ikon’s 2012 exhibition. Paperback, black and white illustrations, 128 pages. All the images on this web site - with the exception of Mrs. Tate, 1973 and Heath Lane, (n.d.) are available for sale on an individual print basis. The Ten Televisions, 1973 are only available as a set of ten prints.